If we accept the maxim that ‘a little knowledge is a dangerous thing’, then this is a dangerous book! In covering such a wide range of skills and issues, it is inevitable that an in-depth analysis is not going to be possible. It is therefore important that we recognise, right from the start, that this is an introductory text. That is, it offers the beginnings of a thorough understanding of people skills but will not provide all the answers. 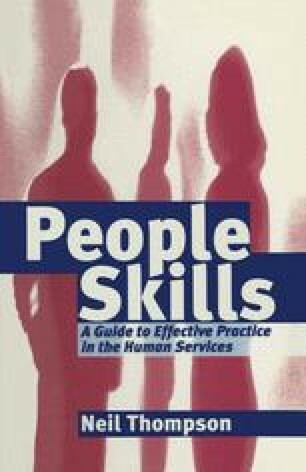 This book will not make you an expert in people skills but will equip you to move in that direction. It will provide you with a brief and accessible introduction to the key aspects of working with people, twenty in total. These twenty areas are divided into three main categories: personal effectiveness, interaction skills and intervention skills.